Webcam Bernau: Weather in Bernau bei Berlin - BärenBloom - A view of the current weather in Bernau bei Berlin with current weather data. Berlin: HD Panorama Alexanderplatz, 13.5 mi. Berlin: Berlin Alexanderplatz, 13.5 mi. Berlin: Mühlendamm Lock, 14 mi. Berlin: City Center, 14.5 mi. Berlin: Stadium 1. FC Union Berlin, 14.9 mi. Berlin: Tegeler See, 16 mi. 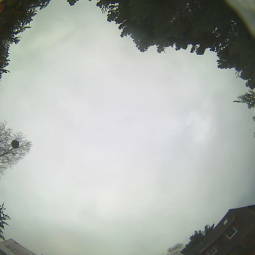 This webcam Bernau with the theme Weather was added on June 26, 2017 and is operated by BloomSky. It got 227 visitors since then. Shouldn't this webcam work or should the link be wrong please report that here. You can add this webcam here to myCams.